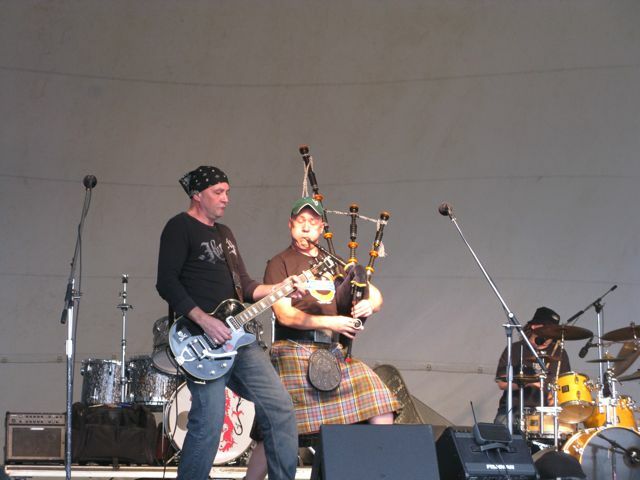 Had a great time over the weekend at our 3rd trip to the Meadows Festival and Highland Games. Last 2 times it was at the grounds of the Richmond racetrack, but this year it was at the Meadows site near Kings Dominion. Very cool time, even if it did rain most of the day Saturday! We got to see BarleyJuice and Rathkeltair, 2 really excellent groups with pipers, drank some beer, ate some great foot (Meat pies with HP sauce!!) and generally had a fun time with Emma’s sister Dawn!